Ninja Mom has been BUSY! I’m linking most of these to the Teachers Pay Teachers… Simply because the LAST IMAGE is a FREEBIE found on TpT. However… most can be found in both shops. Stem Challege Clip Art … great for making Project Worksheets, Challenge Cards, and More! Make Chore Charts, Planner Stickers, Checklists and More with these cute Chore Clips! Fall Themed Washi Clip Art is great for throwing in accents to your images, cards, and paper! I use this Versatile Set of Frames and Labels ALL. THE. TIME! It is one of my most used sets of clip art! I love all things Chalkboard (except real chalkboards… they make me sneeze). Design labels and more with this cute set! AND NOW FOR A FREE SET! This set of Apple Frame Clip Art is currently FREE in the Teachers Pay Teachers Shop! 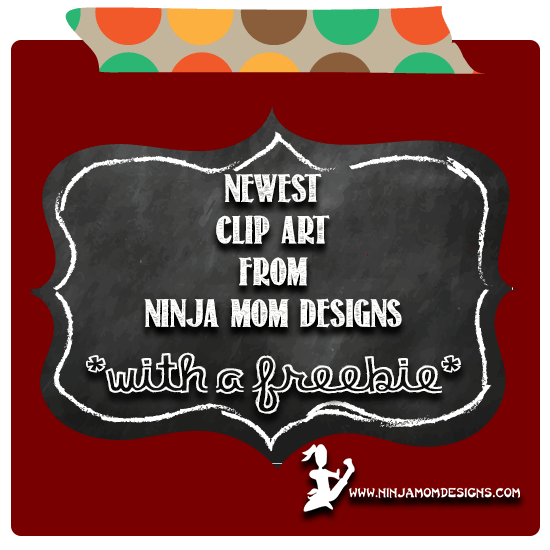 Remember… You can find Ninja Mom Designs Projects on Etsy and Teachers Pay Teachers!